In the most literal way possible, your crawl space is the foundation of your home -- everything else rests upon it. If the crawl space is rotting, sagging, or filled with allergenic elements, it will profoundly affect everything else in the building -- including you and your family. 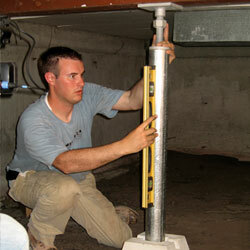 At Basement Systems, our contractors can help you repair a sagging or sinking crawl space structure. 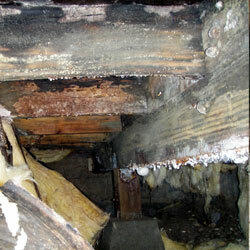 Many of our experts also provide services in cleaning up the crawl space, as well as repairing damaged structural wood. To learn more about how your local dealer can help you, call or e-mail us today for a free, no-obligation crawl space repair quote! Basement Systems Dealers provide services to homeowners located throughout North America and Europe, including Canada, the United States, the United Kingdom, and Ireland. We pride ourselves on our fast, professional installations and written warranties, which are transferable to the next homeowner, should you decide to sell the house. 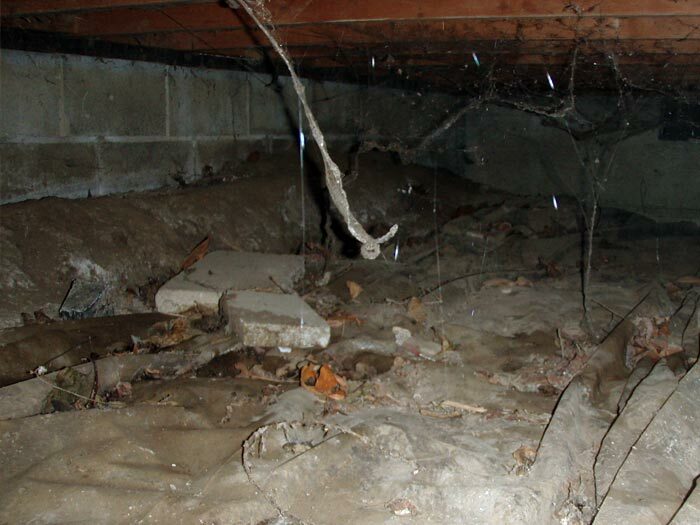 Crawl spaces can begin to sag and weaken for numerous reasons, including (1) sinking support posts, (2) rot-weakened support beams, and (3) a poorly designed support system that includes too few support posts to properly bear the weight of the home. A sinking crawl space means a sagging, uneven floor above. Over time, doors may begin to stick or jam, the floor may begin to feel "springy" underfoot, and cracks will form in drywall. Our SmartJack™ Crawl Space Support System provides an warrantied, permanent solution for this issue. 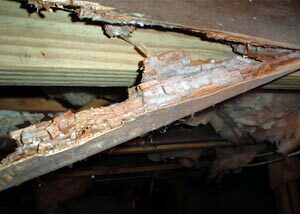 No matter how many crawl space supports you add, if your wood is severely rotten or weakened by insect damage, it's likely that it's not strong enough to bear the weight of your home. 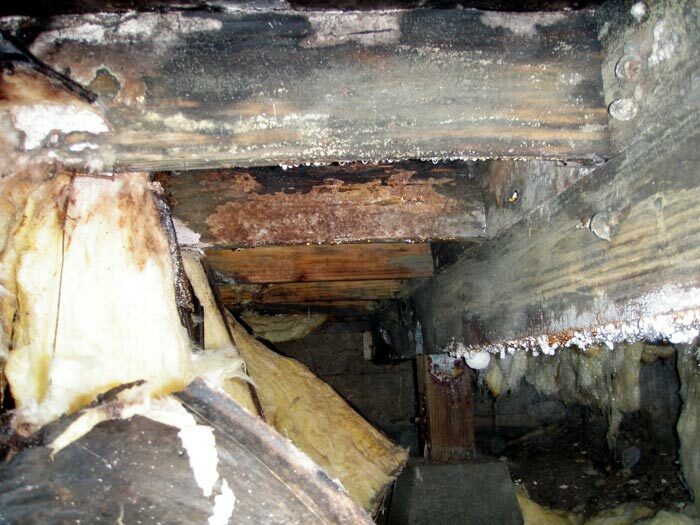 While sealing the crawl space and dehumidifying the area will slow or stop the damage to your wood, what's done is done. Some wood may need replacement, while other wood may be reinforced with a sister beam. Many of our contractors offer services related to removing rotting crawl space wood -- and rebuilding and reinforcing your existing system. If your crawl space is damp, musty, filed with moldy materials, allergens are present in the space that will make their way into the rest of the house. A damp, moldy crawl space is a welcoming environment for pests such as rodents, termites, carpenter ants, and much more. And if that fiberglass insulation has fallen to the floor, it's not doing much good for you or your home! 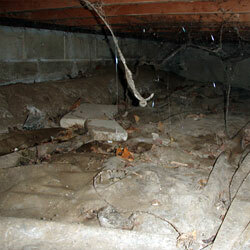 Many of our contractors offer crawl space cleanup services to homeowners in their local service area. 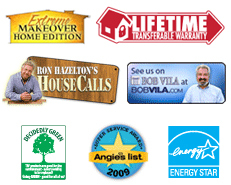 Our experts can also remove and replace your insulation and seal your crawl space. What Type Of Damage Is It? 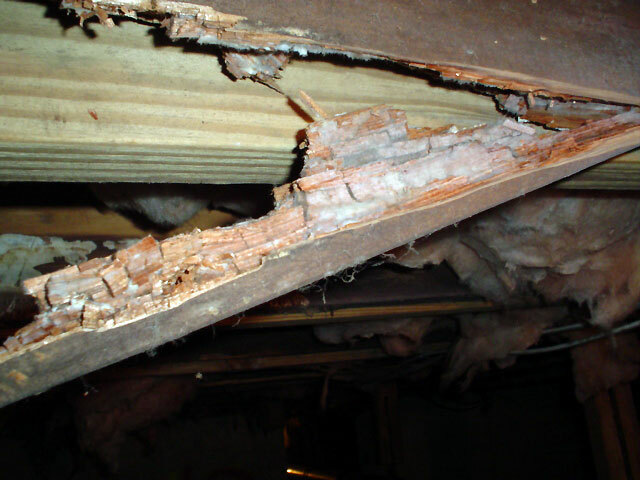 Is this damage from wet rot, dry rot, termites, or powderpost beetles? The answer isn't always as clear-cut as you may think! Many homeowners mistake one type of wood damage for another -- and end up treating the wrong problem. To prevent recurrence of the damage that you've just repaired, we recommend that you also seal your crawl space. We seal crawl spaces by installing airtight covers on all vents, installing an airtight crawl space door, and installing a thick, durable crawl space liner on your walls and floors -- one with a 25-year warranty. Sealing your crawl space will keep out the cold and humidity that can make its way through the vents, concrete surfaces, and dirt floors beneath your home. This helps to preserve your home, deter pests, and make your home much more energy efficient. Once your crawl space has been sealed, it's a good idea to maintain the dry environment with a crawl space dehumidifier. We suggest a self-draining system such as Our SaniDry™ CX, which is Energy Star Rated and designed for the cooler crawl space environment. 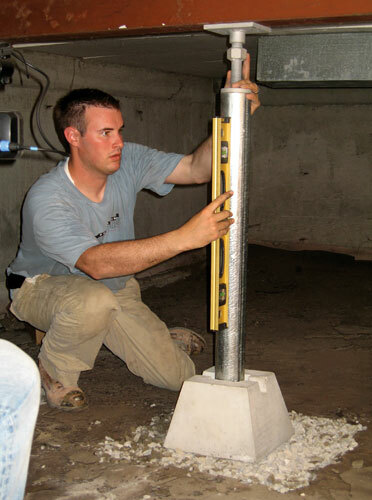 We Specialize In Crawl Space Repairs Of All Types! Whether you're interested in simply repairing your sagging crawl space, you'd like to insulate your crawl space, or you're interested in completely sealing and dehumidifying the space, we're the certified experts for you! Contact us today by phone or e-mail, and we'll connect you with your local dealer for a free, no-obligation crawl space repair quote! Our certified dealers serve throughout Canada, the United States, and the United Kingdom -- including your local neighborhood! Each free quote includes an on-site professional inspection and measurement, where we suggest solutions and answer any questions you may have. We'll work with you to create a customized crawl space repair system that will be able to accomplish everything you need for your space. Before we arrive at your home, we'll also mail along a copy of our full-color crawl space repair book. This book is packed with information about everything you need to know about your crawl space, as well as details about each of our products and services.